The highest quality watercolor sheet in traditional natural white color. 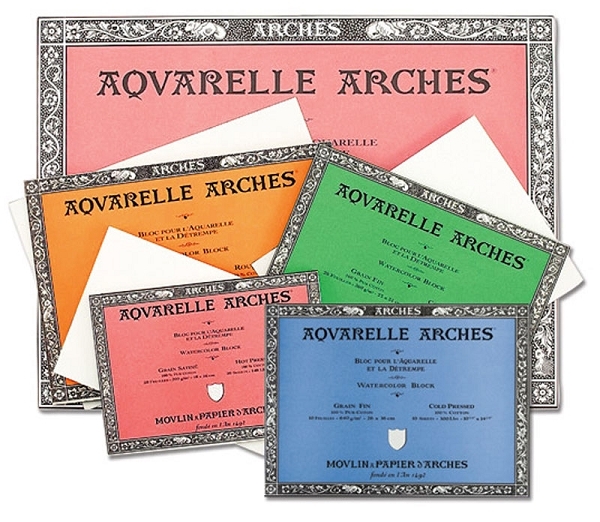 Mould made in France of 100% cotton, with natural gelatin sizing.Four deckle edges and watermark. HP means Hot Pressed -which means a smooth surface on the paper. CP means Cold Pressed. -This paper has a raised surface as pictured above. R means Rough -This paper has more texture then the cold pressed, a good tooth on the surface. 90 lb is thinner , 140 lb is thick, 300lb is heavyweight. 51 points will be rewarded when you are logged in to your account and buy this item.